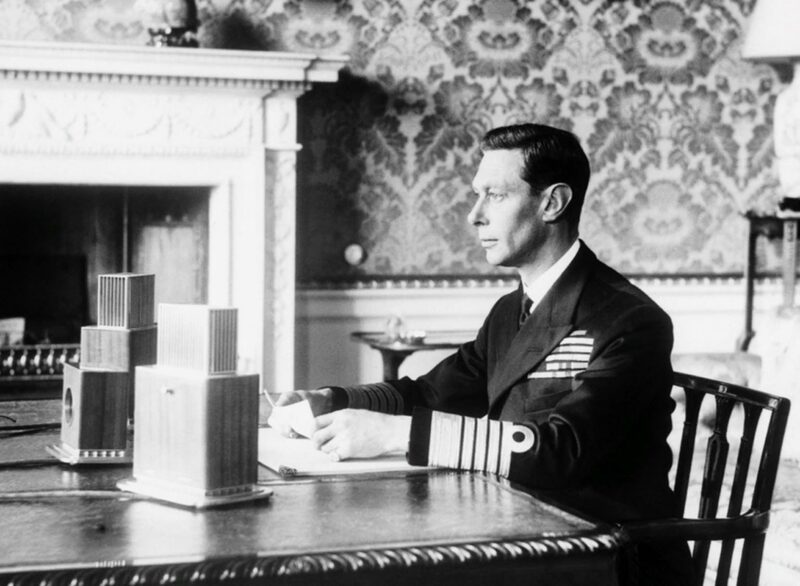 English king George VI, uses radio to announce the beginning of a war against Nazi Germany. On September 3, 1939, on the day when Great Britain and France declared war on the Third Reich, King George VI in his speech to the nation called on the peoples of Great Britain and the entire British Empire to unite and be steadfast in danger years. The speech was a huge success; King George VI became a symbol of the unity of the nation during the war.